Imagine a floor so beautiful it becomes the focal point of your room. Look no further. The Blue Ridge Collection™ has the natural beauty and solid performance you are looking for and at a price you can afford. Choose the traditional look of oak, the warmth of American cherry, the rustic character of hickory or the richness of walnut, whatever your pleasure, you will find it in the Blue Ridge Collection™. A 3/8” thick 3 ply engineered, 5” oak plank, with a real Hand Scraped Face, beveled edges and ends with a traditional 20 gloss. Available in three colors: Honey, Gunstock and Saddle. 15 year finish warranty. Random lengths 12”-42”. A 3/8” thick 3 ply engineered, 3” oak plank, with smooth face, beveled edges and ends with a traditional 60 gloss. Available in three colors: Natural, Gunstock and Saddle. 15 year finish warranty. Random Lengths 12”-42”. Loads of character and authenticity are found in Frontier Plank™. Bold grains and warm hues are at the heart of this traditionally stunning floor. Celebrate the distinctive beauty and appeal of hickory’s real wood grain and unique character. The Highlands Collection™ is for people who cherish the ambiance of real wood combined in antique, distressed, wide planks for a natural, yet sophisticated look. Rich in color and detail, each piece of Mammoth Plank™ graces any room with striking distinction. 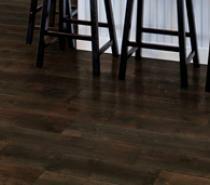 Elegant maple offered in a wide, 4 1/2” plank creates a dramatic floor. If it’s sleek beauty you want, look no further than Merced Plank™. Subtle graining adds another layer of interest to both modern and traditional home decor. An elegant room design deserves the polished, uniform luxury of Monticeto Plank™. Wide, 4 1/2” maple planks create a timeless, traditional look. Your home is a re?ection of everything you have worked so hard to achieve. And no ?oor shows it off better than Natural Brilliance. The splendor of nature harmonizes with this high loss, upscale collection. Prepare to be dazzled! Bring the hearty character and distinguished elegance of the Piazza Collection™ into your home. Each plank in this unique line offers intricate grain patterns and burnished textures that create a mosaic of cozy earth tones. And with a wide array of distinctive character markings, each board has a distinguished look and feel all its own. Red oak never looked so good. Combining a wide-width, 4 1/2” plank with the newest fashion shades and the toughest, modern, low gloss finish makes Ranchero™ a beautiful value in more ways than one. If you ever wanted value, Rialto™ delivers it. Beautiful, traditional red oak offered in a wide, 4 1/2” plank and finished in rich, fashion shades and a tough, low-gloss finish delivers a great investment for the future. Everything you could ask for in a beautiful, red oak, hardwood floor is wrapped up in a package with Riverside™. Durability, dependability, fashion, low maintenance and performance are delivered to the max.